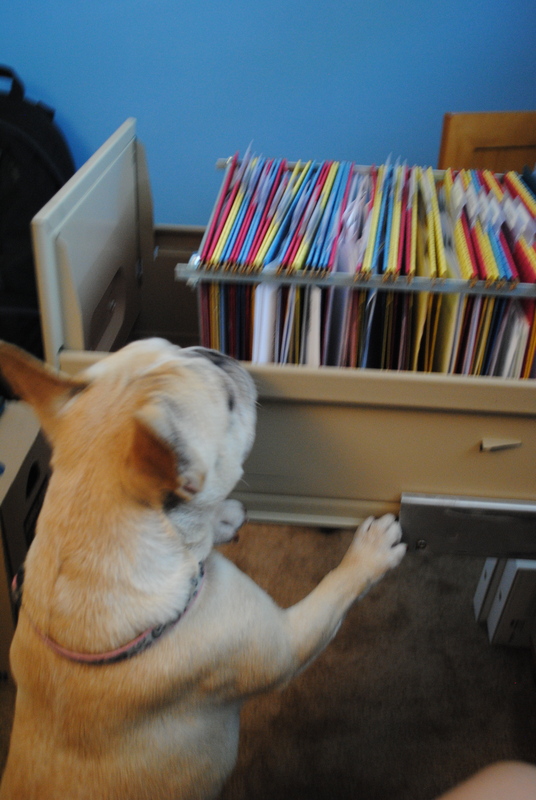 Last week I decided to take on one of my most dreaded tasks – the Office Filing System. I loathe setting up new file systems, but I love the results. Neat little rows all labeled and ready for action. It’s so much easier to stay organized once you are organized, amen? 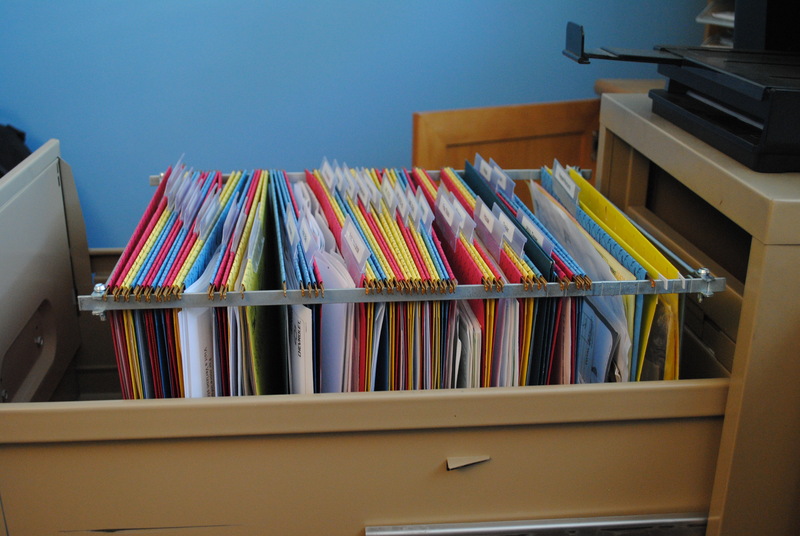 We’ve had a filing system in place for a while, but it was in a file tub – you know the kind with the lid on top? They’re easy to cart around but a pain to deal with long term. So, I decided to archive the old files in the 2 drawer file cabinet we have, and move last years and this years files into the space. Nothing horrible, just time consuming. I also sorted though some other papers I didn’t have files for and made them their own special homes. Betsy had been laying around the office watching me complete my filing task. 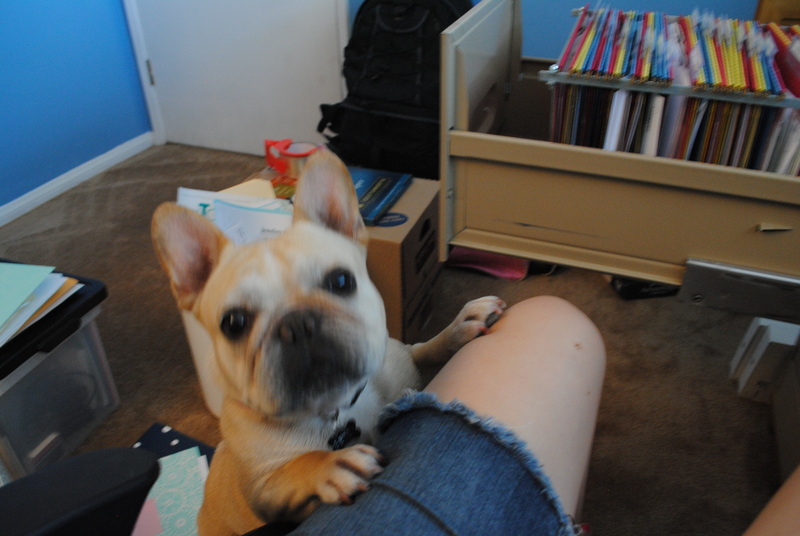 When I started sliding the files back and forth to file things she became obsessed. SERIOUSLY, what are you doing in there?! I MUST DEFEAT THE FILE MONSTER! 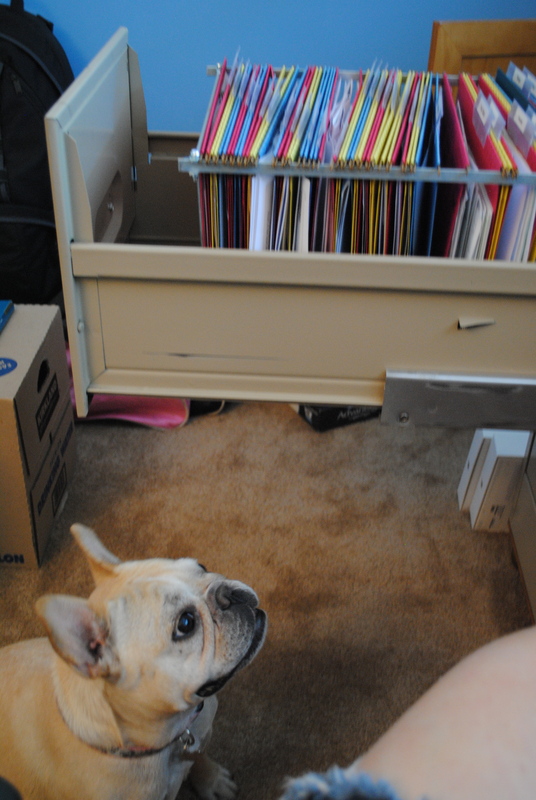 So, now every time I open the file drawer guess who comes hauling into the room looking for the file monster? Humor me people, I spend a large majority of my day working from home…this is sometimes the most excitement I get. She’s my only office co-worker, but at least she won’t steal my lunch out of the employee fridge! Wait until they “bully” you with their soulful eyes for a bite off your lunches!